Since life evolved on our planet there have been subtle interplays between biology and Earth System Components (atmosphere-lithosphere-ocean-interior). Life, for example, can impact weathering rates which, in turn, influence climate stabilizing feedback cycles on Earth. Photosynthesis is ultimately responsible for our oxygen-rich atmosphere, which favours the formation of the protective ozone layer. The recent rise of exoplanetary science has led to a re-examination of such feedbacks and their main drivers under different planetary conditions. 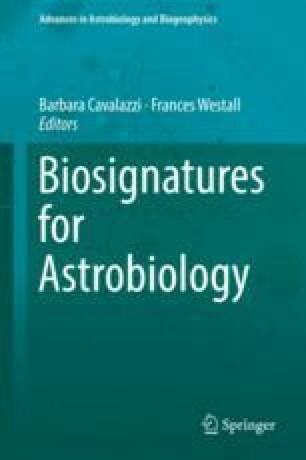 In this work we present a brief overview of potential biosignatures (indicators of life) and review knowledge of the main processes, which influence them in an exoplanetary context. Biosignature methods can be broadly split into two areas, namely “in-situ” and “remote”. Criteria employed to detect biosignatures are diverse and include fossil morphology, isotope ratios, patterns in the chemical constituents of cells, degree of chirality, shifts from thermal or redox equilibrium, and changes in the abundance of atmospheric species. For the purposes of this review, our main focus lies upon gas-phase species present in Earth-like atmospheres, which could be detected remotely by spectroscopy. We summarize current knowledge based on the modern (and early) Earth and the Solar System then review atmospheric model studies for Earth-like planets, which predict climate, photochemistry and potential spectral signals of biosignature species.